Baked potatoes have been the tasty side dish to a juicy steak for many years. Cooking a baked potato at home is easy, as long as you are prepared and don’t try to rush the cooking process. Read below to find out how to cook baked potatoes. Take a trip to the supermarket and choose the best looking baking potato you can find. Don’t worry about it being too big, you can always save half of it for lunch the next day. After arriving home you need to rinse the potato off and remove any dirt or other debris. Set the oven at 350 degrees. Using a paring knife, poke several holes in the potato. 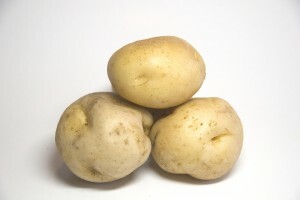 While the potato is still wet, cover it with some rock salt and then wrap it in foil. Place your potato in the oven and cook for slightly over an hour. You will know your potato is done when it is fork tender (meaning once you can easily poke it with a fork). 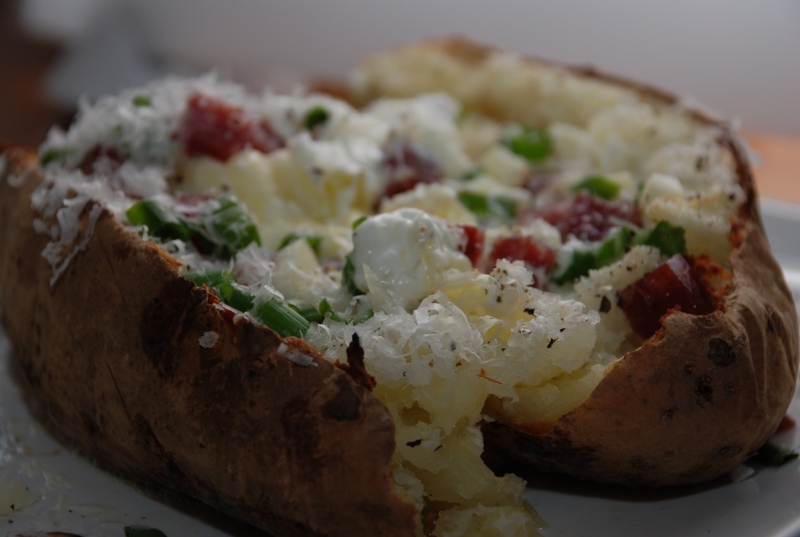 Baked potatoes are a good source of potassium and can be enjoyed with a variety of toppings from sour cream to salsa. 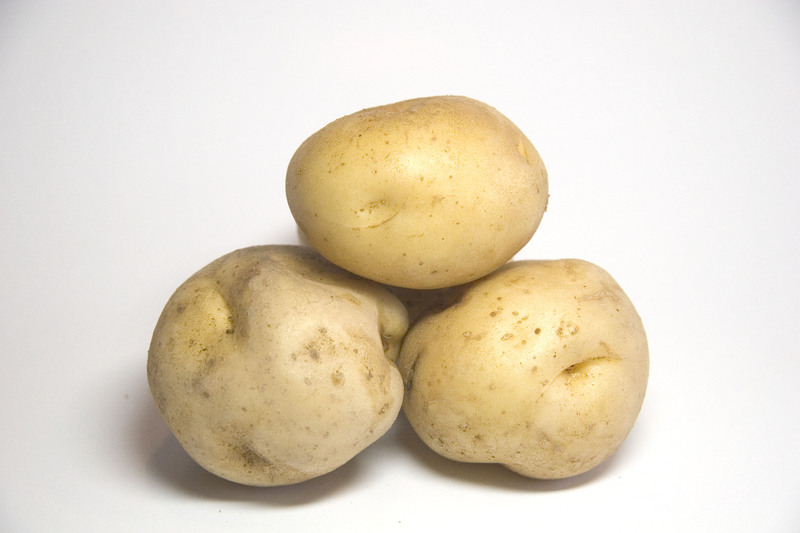 Potatoes are a nutritious and low calorie food and are a fabulous side dish to any meal. 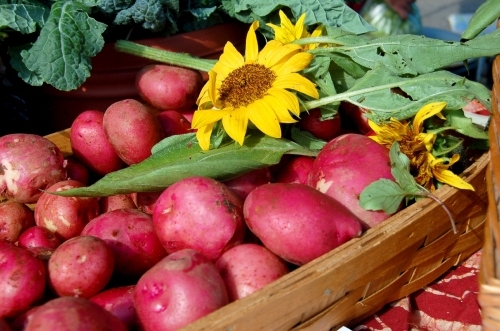 Red potatoes provide a good source of vitamins C, B6, potassium and other minerals. Learning how to cook red potatoes is very simple. Do not remove the skin when preparing red potatoes, since the fiber is in the skin and many of the nutrients are near the surface. Instead wash them under water with a soft vegetable brush. Baking, steaming or microwaving will preserve the maximum amount of nutrients but some say that a lot of the flavor is lost. The most common and delicious way I’ve learned how to cook red potatoes is to roast them in the oven. These are the steps to follow to ensure the red potatoes are cooked to perfection when roasting. 2. Wash six to ten red potatoes thoroughly under warm water. 3. Quarter the potatoes with the skin on. 4. Place the quartered pieces into a large mixing bowl. 5. Drizzle olive oil onto the quartered potatoes then add salt and pepper. Mix well until evenly coated. Rosemary or any other seasonings maybe added. 6. Place seasoned potatoes on a cookie sheet or non-stick baking dish in a single layer. 7. Place in oven for about 30 minutes or until golden brown. This is just one way red potatoes can be cooked. Some other interesting thoughts on how to cook red potatoes are boiling, frying or microwaving. Red potatoes only become fattening when fried or served with butter and creamy sauces. Depending on the cream sauce you use, though, they can be both healthy and delicious. My very favorite way of cooking red potatoes is to boil the potatoes and then add a healthy cream sauce. It’s amazing! If traditional vegetables are becoming boring, consider preparing cauliflower. Cauliflower comes in a variety of colors ranging from white to purple. 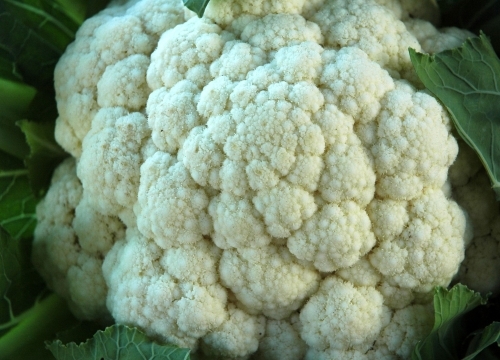 White is the most common color of cauliflower available. When preparing cauliflower, you will have many options. In this recipe, we will show you how to cook cauliflower by boiling it. To prepare the cauliflower, start by removing all the leaves from the head. Next, remove the core from the center of the cauliflower. After the core is removed, dice up the individual florets. Wash the florets thoroughly. 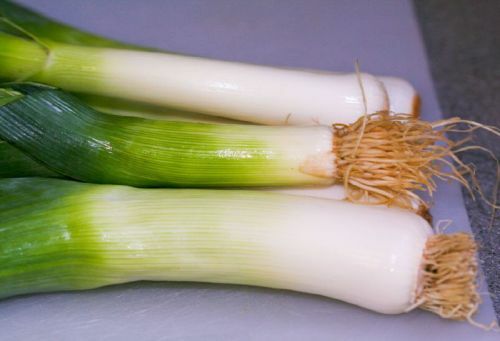 You are now ready to begin cooking. In a large pan, add three quarts of water and a pinch of salt. Bring the water to a fast boil. After the water has begun to boil, add in the cauliflower. Cook on high heat for 20 minutes. When the cauliflower is done, you will be able to pierce it with a fork. Cauliflower goes great in soups and salads. If you are wanting a quick snack, serve fresh cauliflower with dips. I personally love cauliflower with a light cheese sauce. Sauvignon Blanc wines will enhance the flavor of any cauliflower dish. If digestive problems have you down, consider adding cauliflower to your diet. 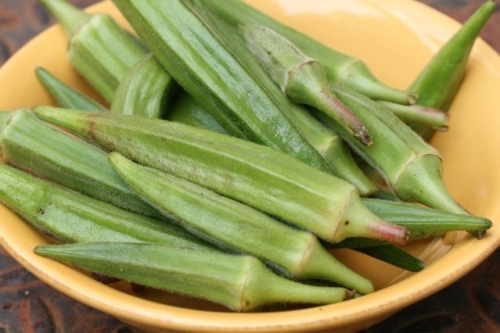 This crisp vegetable aids in digestion and detoxification of the colon. Learning how to cook a sweet potato it couldn’t be easier. And the benefits? Endless! Take a sweet potato that weighs about a pound. Poke it all over with a fork. If you wish, you may rub it with olive oil. Preheat an oven to 500 degrees F. Place the sweet potato on a cookie sheet in the oven, and let it bake for an hour. After cooking, remove the sweet potato from the oven. If the cook is in a hurry, they can, holding the sweet potato with tongs, cut it open and put in a few pats of butter. They can also wait till the sweet potato is a bit cooler and drizzle in some olive oil. 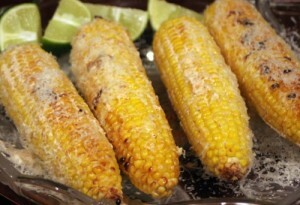 Add a pinch of sea salt and enjoy! A tall, cold glass of milk goes best with a sweet potato, but it could also go with a nice Tokay. A sweet potato isn’t the same as a yam. 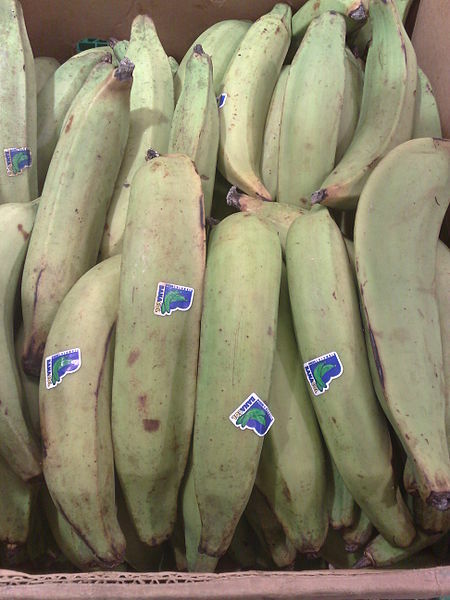 A yam comes from a different plant and is a little sweeter. 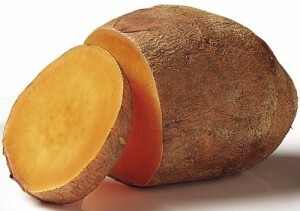 But sweet potato is very rich in nutrients, including beta carotene, which gives it its orange color, fiber, Vitamin A, C, B6 and complex carbohydrates. Carving pumpkins and roasting seeds is a favorite fall tradition for many families. 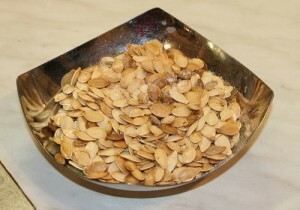 If you want to continue the tradition in your home, here is a quick refresher on how to cook pumpkin seeds. After scooping a pumpkin (removing the seeds and other innards), separate the pulp and strings from the seeds before the pulp dries. Next, place the seeds in a colander and rinse under cold water.